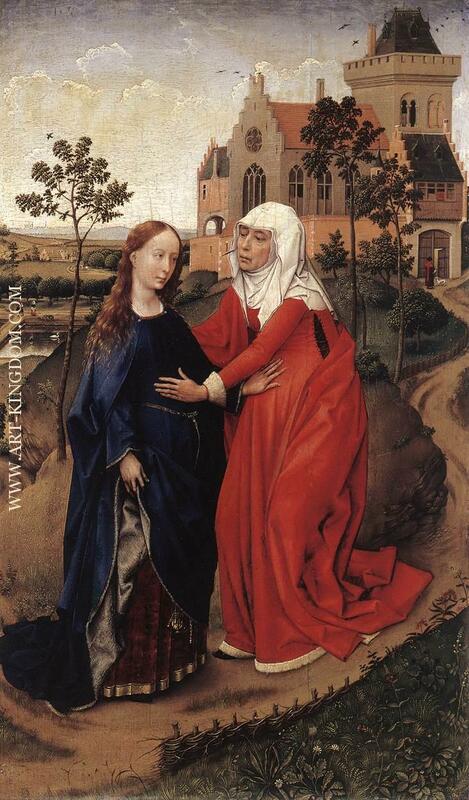 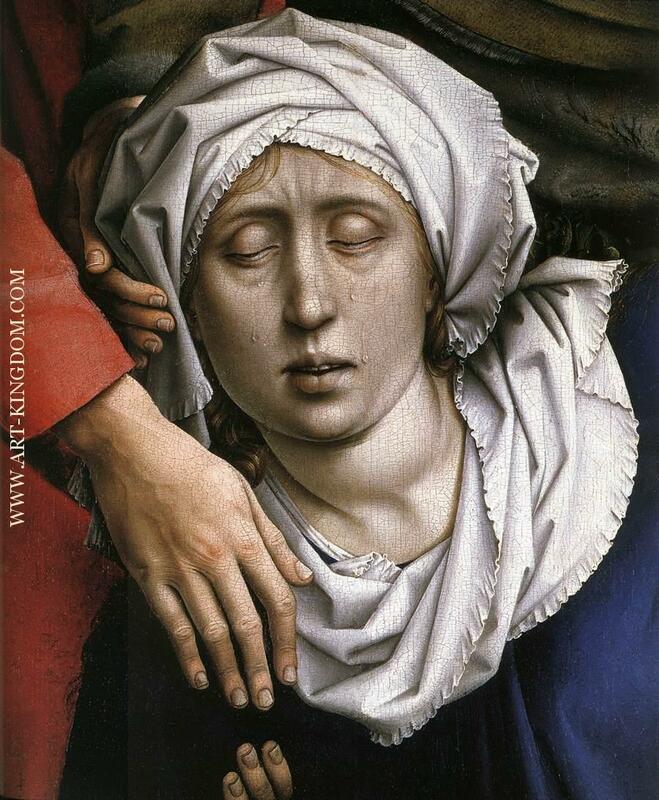 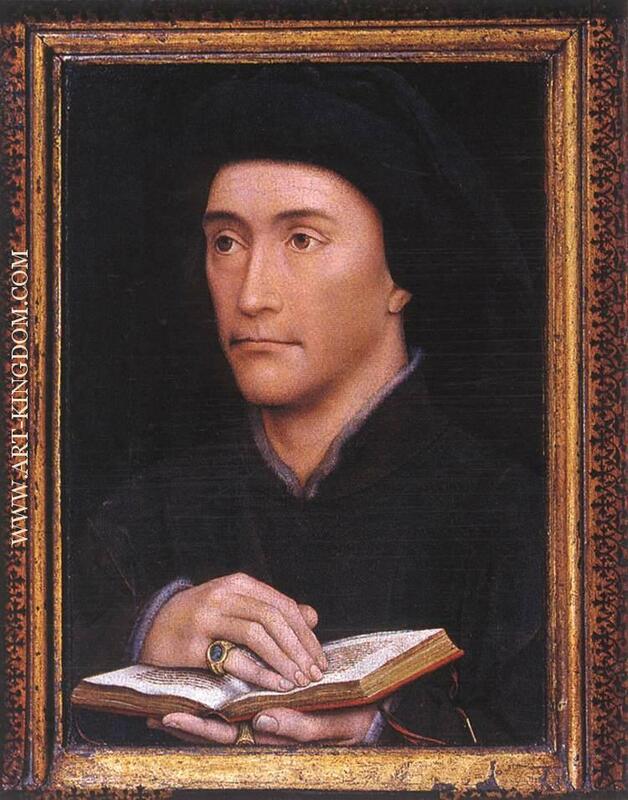 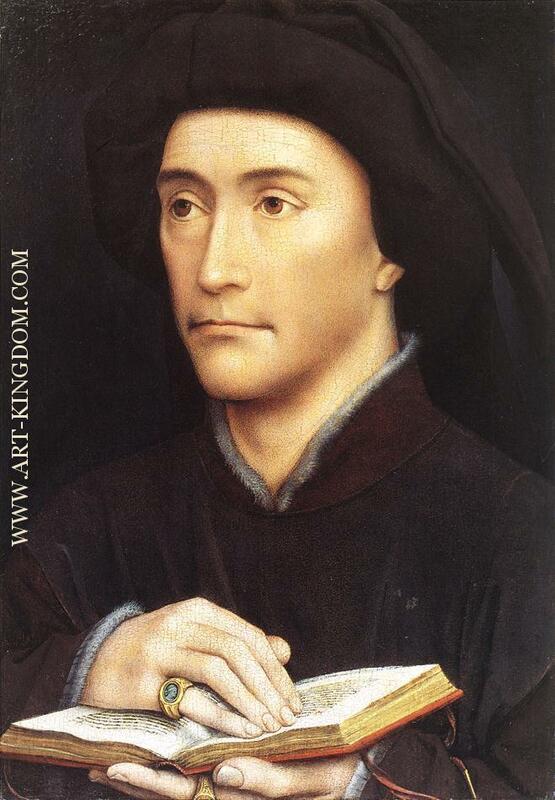 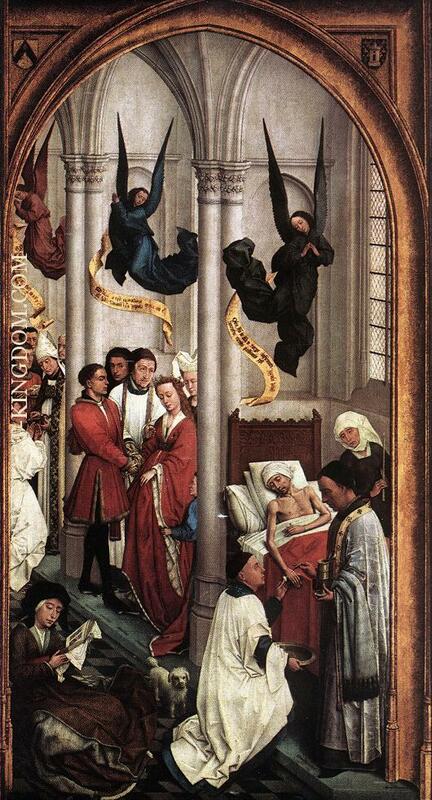 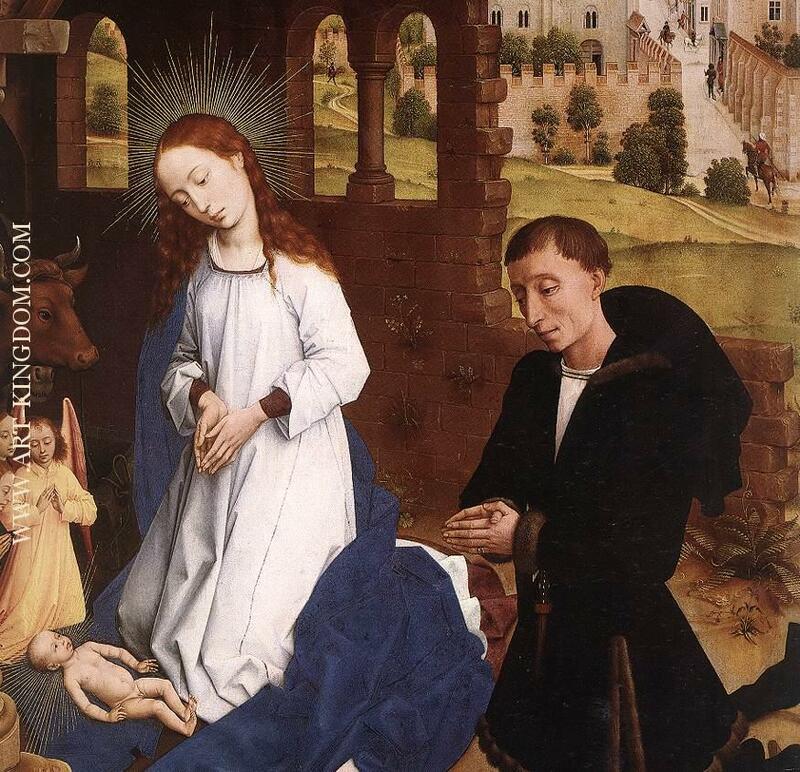 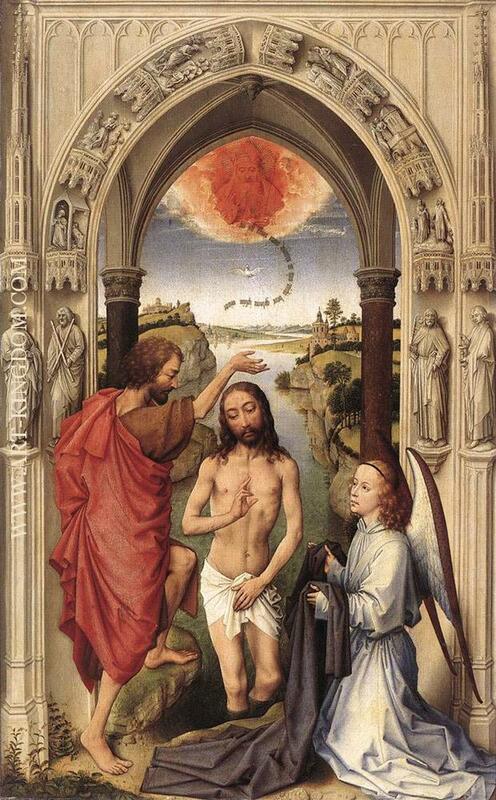 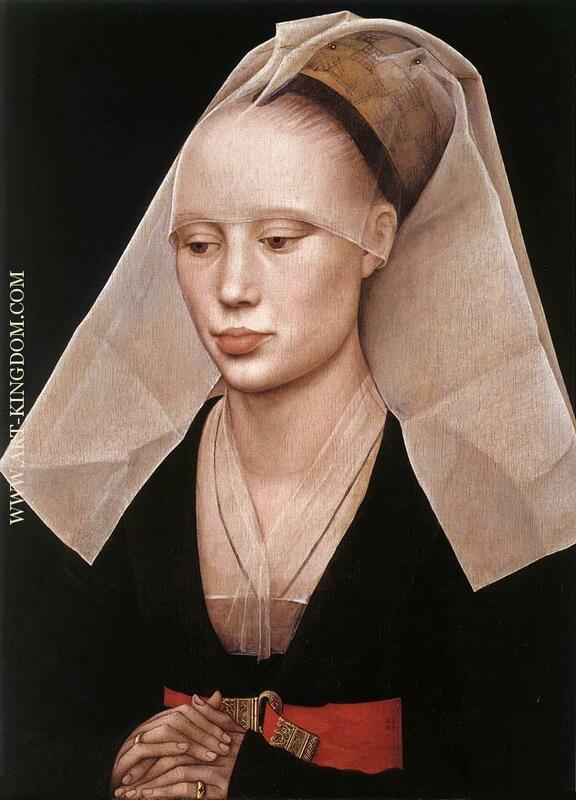 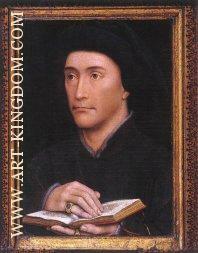 Rogier van der Weyden (Dutch: [roˈʝiːr vɑndərˈβ̞ɛˑɪ̯dən]) or Roger de la Pasture (1399 or 1400 – 18 June 1464) was an Early Flemish painter. 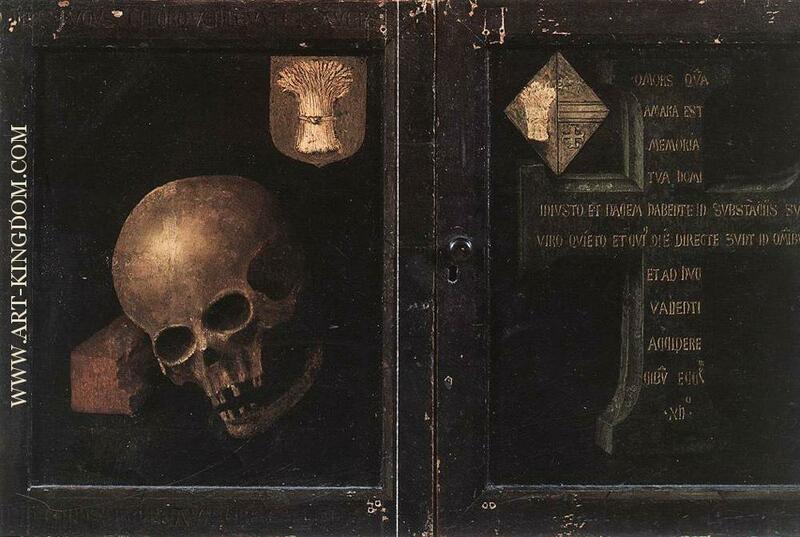 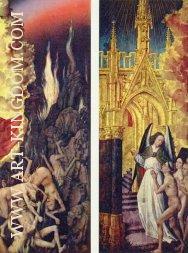 His surviving works consist mainly of religious triptychs, altarpieces and commissioned single and diptych portraits. Although his life was generally uneventful, he was highly successful and internationally famous in his lifetime. 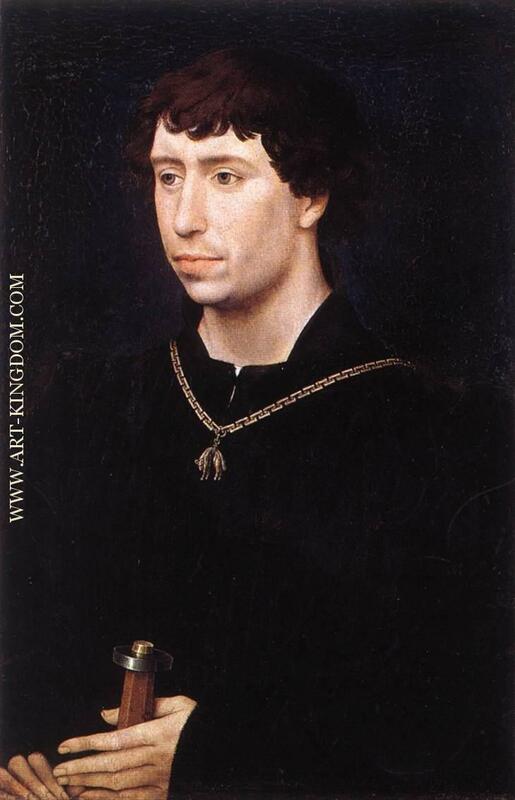 His paintings were exported – or taken – to Italy and Spain, and he received commissions from, amongst others, Philip the Good, Netherlandish nobility and foreign princes. 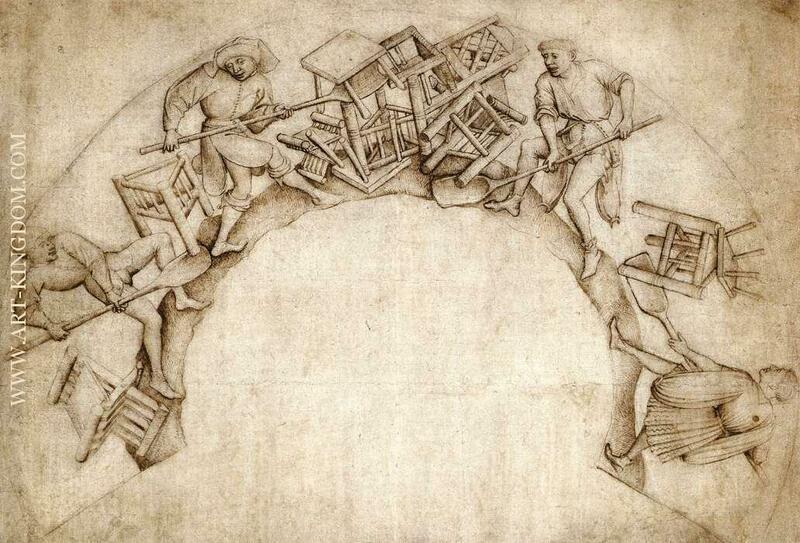 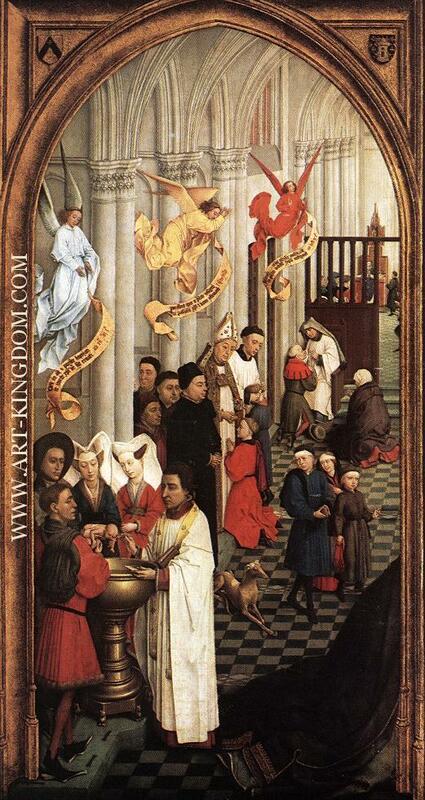 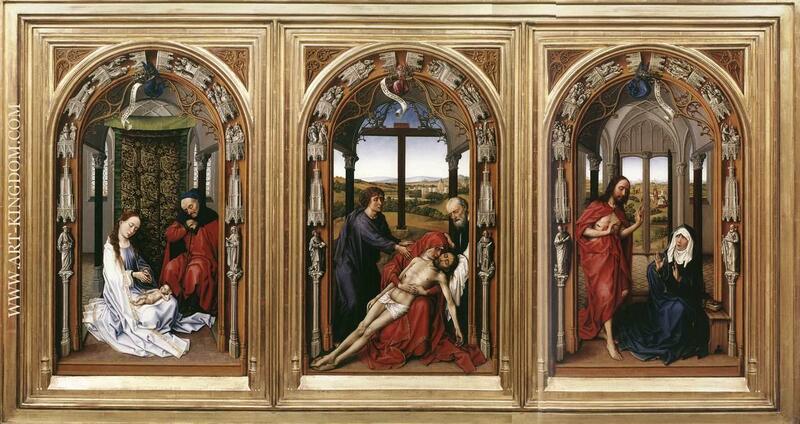 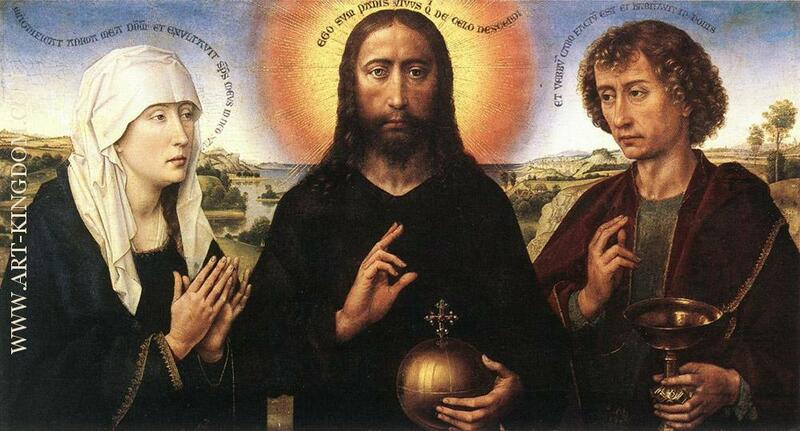 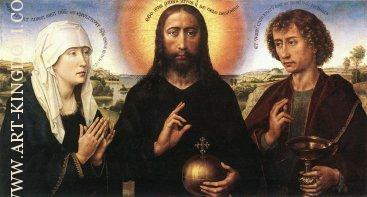 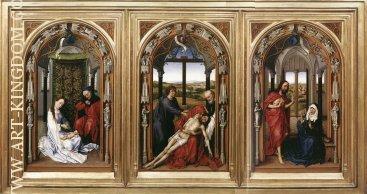 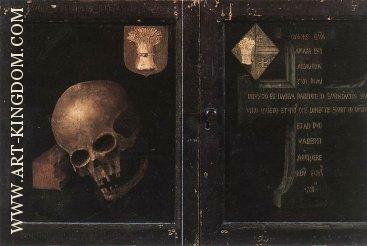 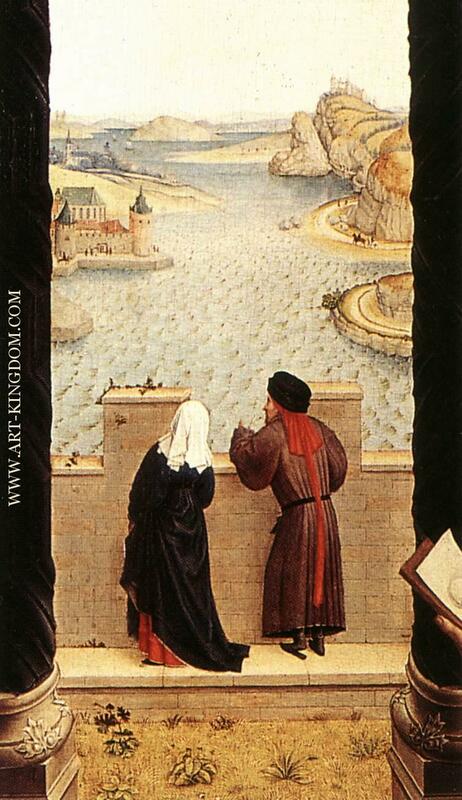 By the latter half of the 15th century, he had eclipsed Jan van Eyck in popularity. 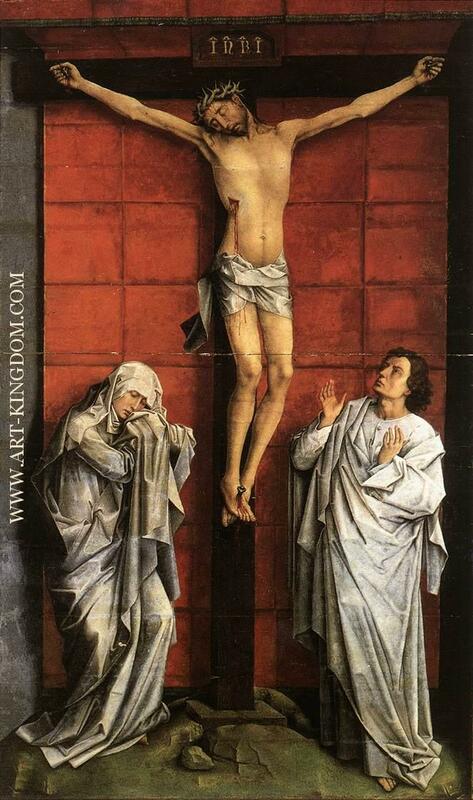 However his fame lasted only until the 17th century, and largely due to changing taste, he was almost totally forgotten by the mid 18th century. 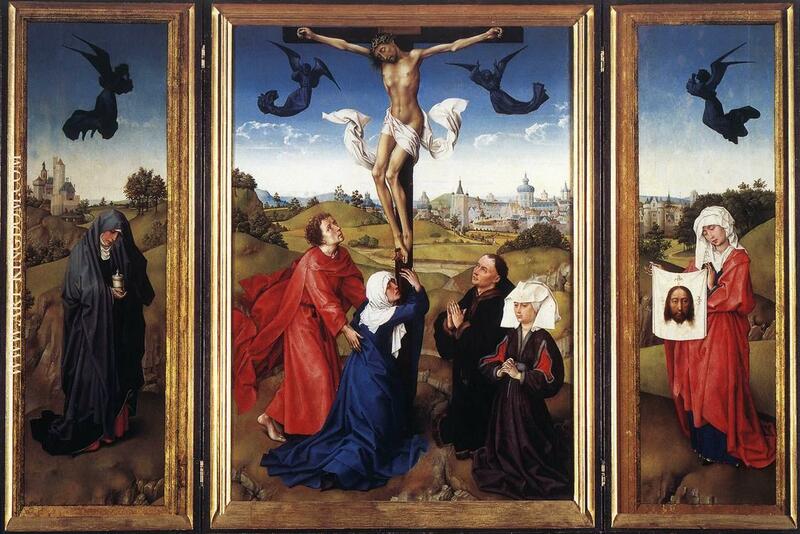 His reputation was slowly rebuilt during the following 200 years; today he is known, with Robert Campin and van Eyck, as the third (by birth date) of the three great Early Flemish artists ('Vlaamse Primitieven'), and widely as the most influential Northern painter of the 15th century.